There seems to be an overabundance of nutritional information available these days, and often this ironically works to our detriment. We begin to tune out this information, hear conflicting reports, or just make unnecessary generalizations. High fructose corn syrup is bad; coffee is good; dark chocolate is good; preservatives are bad; greens are good, the list of what we know goes on and on. But who has the time to get picky over every single ingredient that goes into our body? Especially when those reputedly health foods are also much more expensive? Beyond just the individual consumers is a whole industry of food services that make it their mission to provide clients with the best, healthiest food possible. This industry relies on people who have a strong education on nutrition and diets. Individuals who understand the essentials of nutrition and know how to apply that information at a practical, personal, and commercial level are in high demand. With an Associate's Degree in nutrition and dietetics you will possess this important information that everyone needs to healthfully thrive in today's often confusing nutrition environment. Many people might claim that they are experts when it comes to eating food. Nutritionists and dieticians are experts when it comes to knowing what foods to eat, and how much. Many of us internally wish we were able to live a healthier lifestyle or reach our nutritional goals; nutritionists hold the key information we need to get us to where we want to be. People are realizing that nutritionists do more than just give good advice. They can explain their advice, develop meal plans, assess current health status, follow up with patients to see how effective their plans are, and provide a wealth of information based on the latest research and statistics. 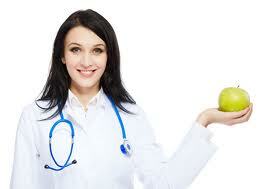 Many nutritionists and dieticians work at hospitals, both public and private. There, they provide direct care to patients by consulting with them on their dietary needs. Patients suffering from a particular ailment, recovering from surgery, or looking for preventive techniques will all heavily rely on the expert advice a nutritionist will provide. Nutritionists also provide similar services at nursing care facilities, outpatient care centers, and physicians' offices. Many nutritionists are also self-employed, serving as outside consultants to individuals, hospitals, cafeterias, restaurants, and other businesses in the food service industry. The advice and recommendations nutritionists give comes in many forms: sometimes it is given directly to patients who need specific guidance in their dietary selections. Other times, they might work in conjunction with public health professionals to promote wellness in a variety of media and publications. Overall, a nutritionist seeks to serve others by sharing detailed information about what benefits and detriments certain nutritional habits have on our lives. An Associate's Degree program contains a variety of careers that prepare students to understanding all of the necessary information in the field of nutrition and diet so that they can provide trustworthy guidance to everyone they encounter. They'll study many nutrition-related factors, education, therapy, counseling, food service, administration, and chemistry and biology. The more a program informs students about the true nature of food and its role in the human body, the better equipped they'll be to provide solid counseling to the individuals, organizations, and businesses that rely on their expertise. With so much nutritional information bouncing around our culture these days, who can we trust? The answer is to go right to the source of expertise and ask nutritionists and dieticians exactly what's on our mind about food. When you earn your Associate's Degree in nutrition and dietetics, not only will you become one of these essential go-to people, but you'll also have plenty of information that you personally can apply to your life to improve your own health and happiness. Finding a good school has never been easier. When looking at the curriculum offered be sure to find one that overs the below courses. It is also a great idea that when looking at nutrition schools to choose an A.S program that will train you to take the CDM and CFPP exams when you graduate. The exams are administered by the Dietary Managers Association (DMA). Another exam is the HNCB Holistic Nutrition Credentialing Board and it is administered by a division of NANP. The median salary for a nutritionist is $34,500 per year and the job outlook is expected to grow 18% over the new few years. The top nutritionist make an excess of $57,500 per year.